He writes about the post-industrial revolution, the way ideas spread, marketing, quitting, leadership and most of all, changing everything. You might be familiar with his books Linchpin, Tribes, The Dip and Purple Cow. 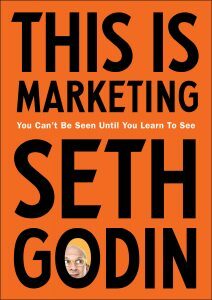 His latest book is This Is Marketing. In addition to this week’s podcast, we filmed an episode of Good Life Project TV with Seth as a few years back, which you can check out here.